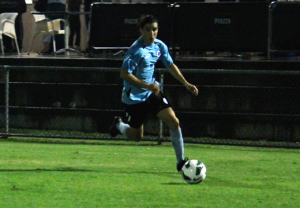 A gallant Palm Beach Sharks fell 3-0 to Brisbane Roar on Tuesday night as the A-League club continued its preseason against NPL Queensland opposition at Mallawa Complex. 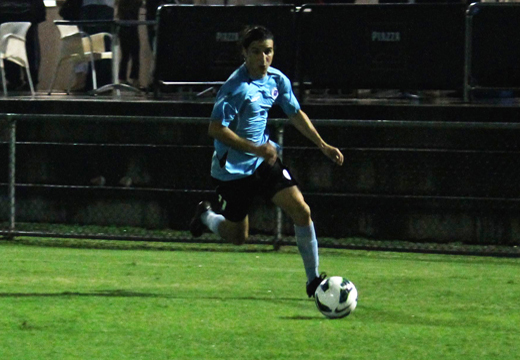 Dimitri Petratos and Diogo Ferreira added to an opening own goal for the visitors in a well-balanced match that saw Palm Beach fashion several chances. Sharks striker Jarrod Kyle nearly gave the hosts the perfect start on ten minutes, the former Sydney FC and Sheffield Wednesday player shot from the edge of the box skimming the crossbar. Another golden chance in the second half fell to Chris Lucas, who trialled with Roar earlier this season. The right winger showed a clean set of heels to the Roar defenders before forcing a superb save from goalkeeper Matt Acton. Despite not seeing as much possession as their A-League opponents, Sharks held well until Roar benefitted from a wicked deflection to open accounts on 21 minutes – the score holding until the half. Petratos doubled Roar’s advantage from the penalty spot on 66 minutes after the referee spotted a Palm Beach handball. Ferreira then sealed the result with a simple tap in 15 minutes from time. Following an up and down season in the National Premier Leagues, Sharks coach Grae Piddick saw the match as just reward for his side. “It’s a definite reward for the guys that stuck around this year. There were quite a few players that left during the year for various reasons – some because it was just too hard for them,” Piddick said. Piddick, who replaced Oscar Langone as senior team coach mid-season, said he was pleased with his side’s showing against the two time A-League champions. “To be fair the first goal was extremely unlucky on our side of things, it was a massive deflection. So to go in at half time having only conceded the one goal was really quite positive for us,” Piddick continued. Piddick also said the match was an opportunity for his charges to learn what makes the Roar one of the best club sides in the country. “It gives the boys a real practical lesson on movement of the ball and movement of the Roar in possession,” Piddick explained. “We’re planning for a big improvement actually,” explained an enthusiastic Piddick. Sharks conclude their NPL Queensland season on Sunday when they travel to Ipswich to face Western Pride at Kippen Park. Kick off is scheduled for 3pm.